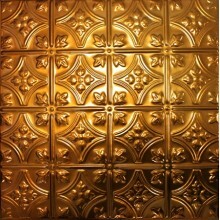 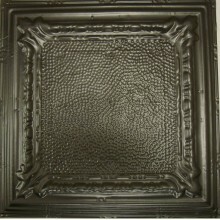 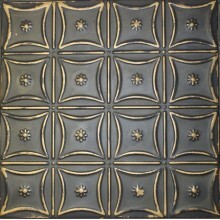 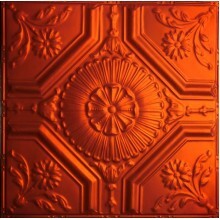 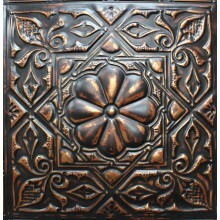 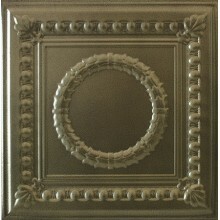 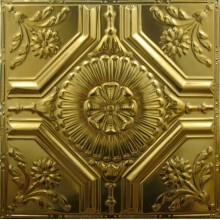 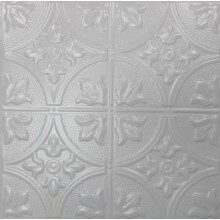 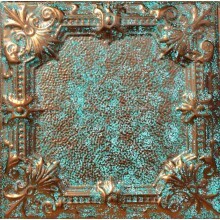 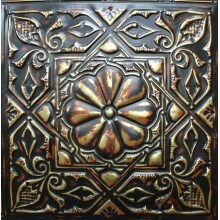 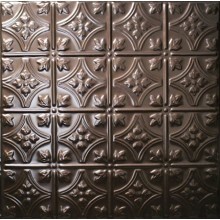 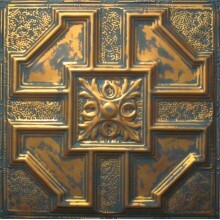 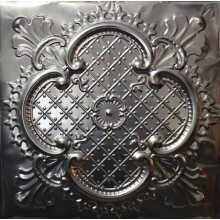 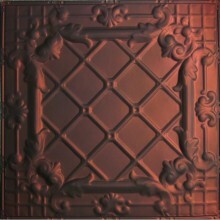 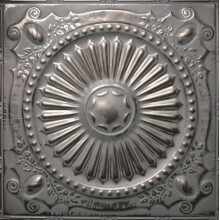 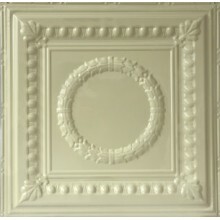 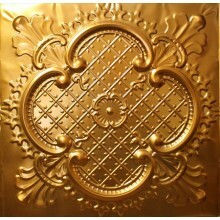 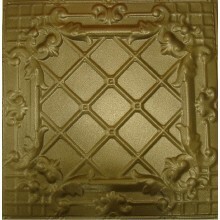 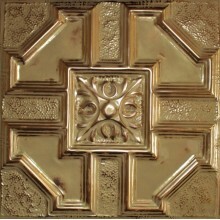 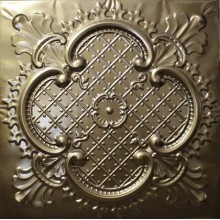 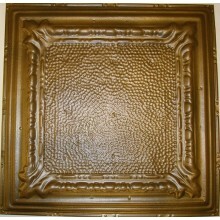 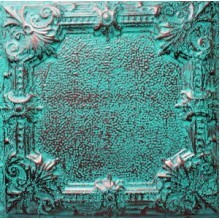 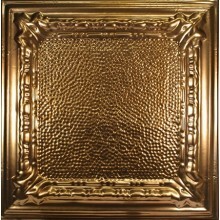 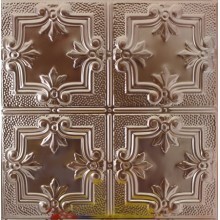 Our 2ft by 2ft metal ceiling panels are available in over 60 different colors and hand-faux finishes. 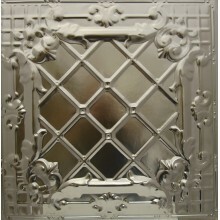 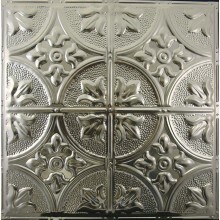 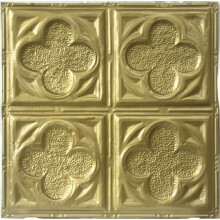 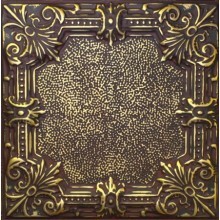 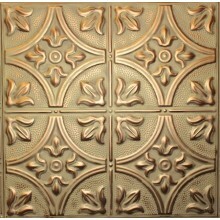 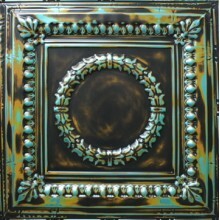 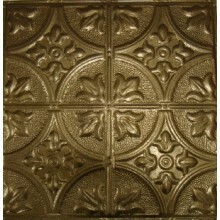 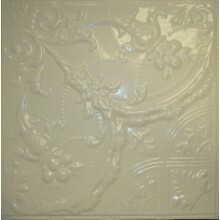 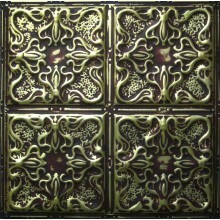 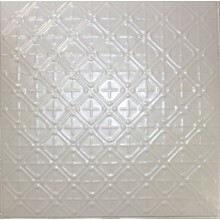 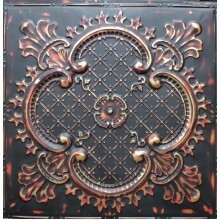 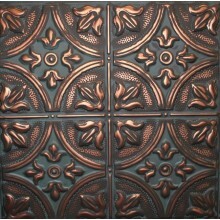 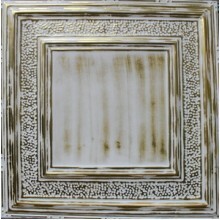 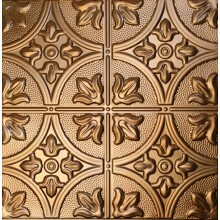 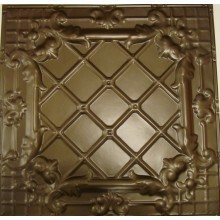 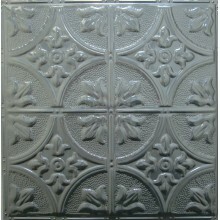 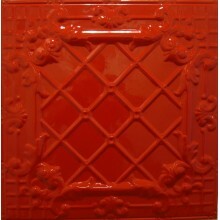 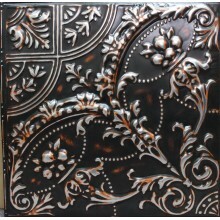 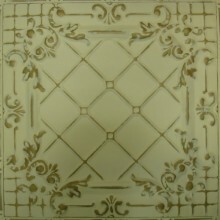 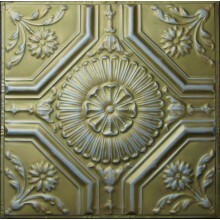 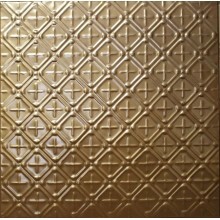 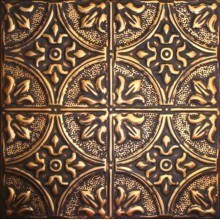 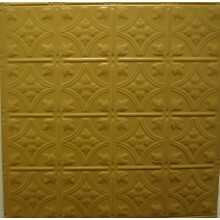 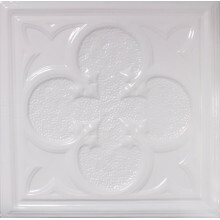 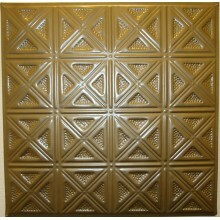 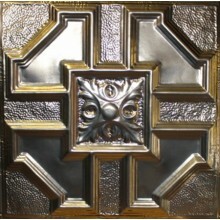 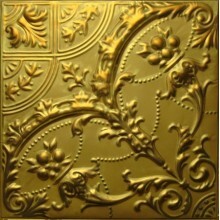 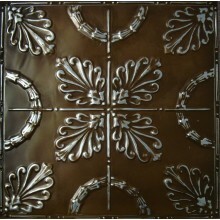 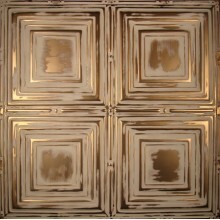 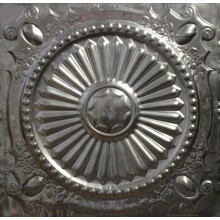 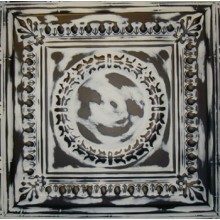 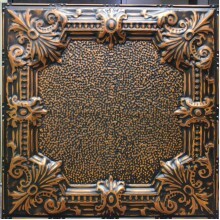 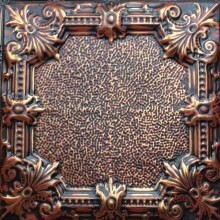 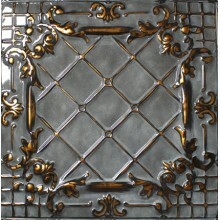 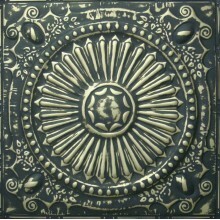 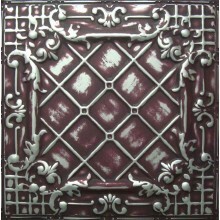 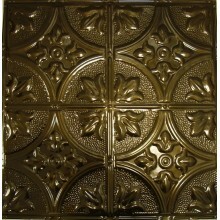 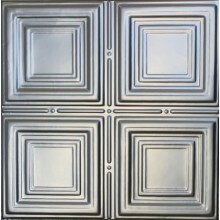 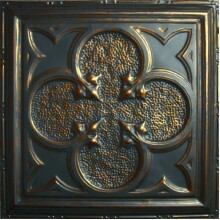 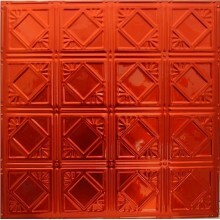 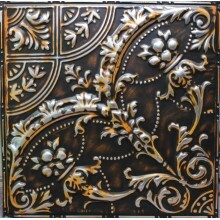 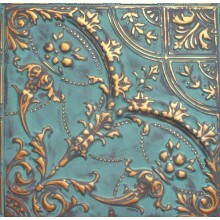 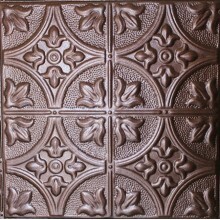 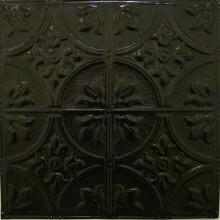 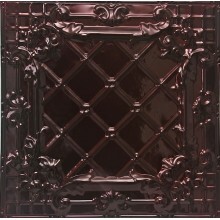 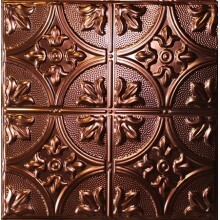 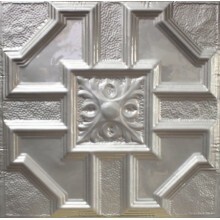 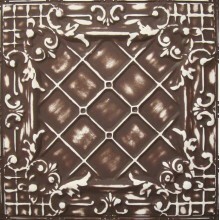 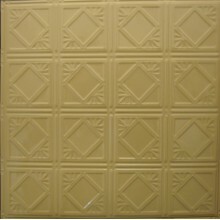 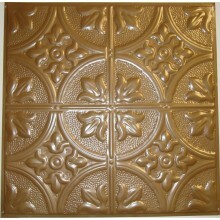 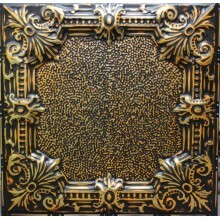 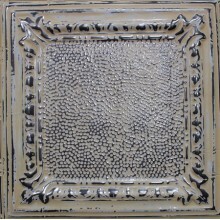 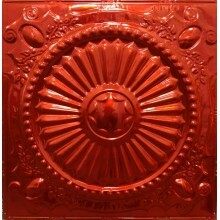 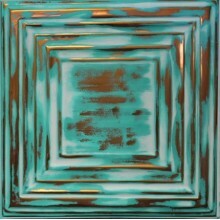 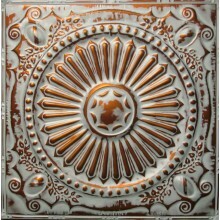 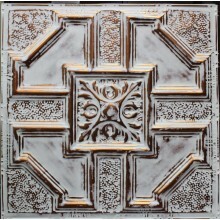 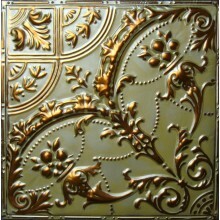 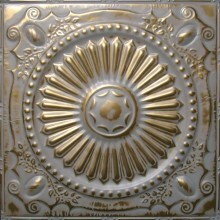 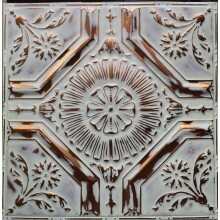 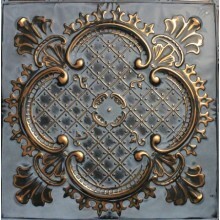 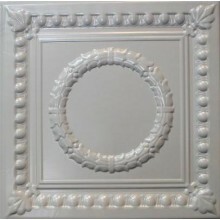 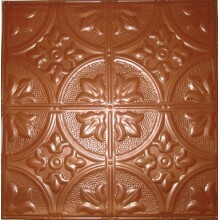 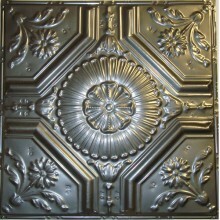 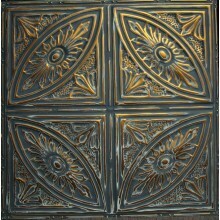 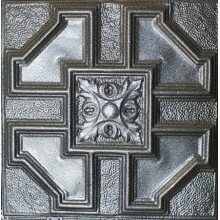 Our unfinished tiles are tin plated and can be painted or finished as required. 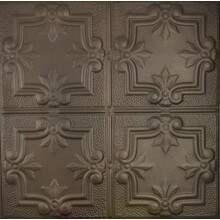 Take a look at our Artisan series to get an idea of the various hand faux colors available. 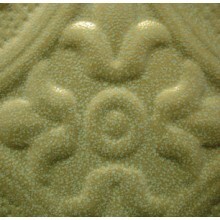 Colors range from reds and burgundies to coppers and golds from whites and creams to blacks and browns to everything in between. 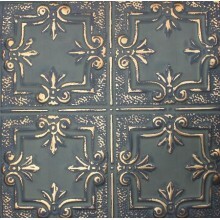 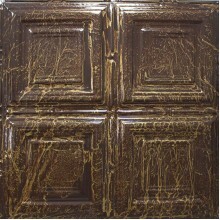 All colors and finishes can be applied to all our 24x24 or 18x24 tiles in all installation types. 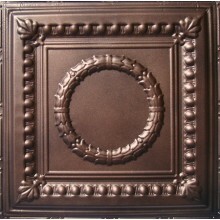 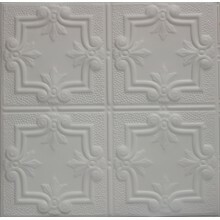 In addition to metal ceiling tiles, products such as matching moldings, ceiling edging, switch plate covers are also available to allow you to create a cohesive custom look and feel for your design. 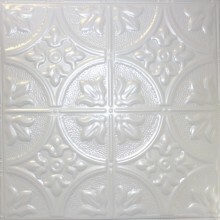 Our 12" x 12" tiles are available in an unfinished silver color and can also be bought in selected solid copper hand faux finishes. 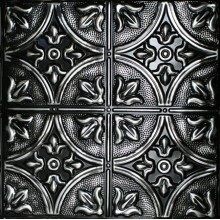 The 12"x12" and 18"x24" tiles are generally better suited to backsplashes and installation in smaller areas.